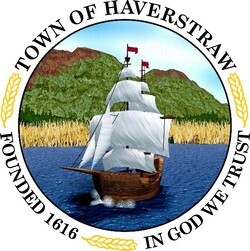 In 1616, the name “Haverstroo” made its first known appearance on a Dutch map. 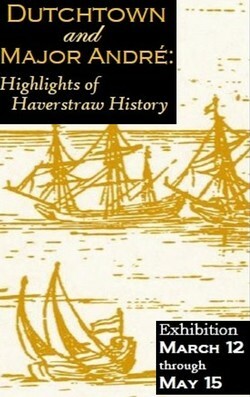 In 2016, the Town of Haverstraw’s Quadricentennial Committee and the Historical Society of Rockland County are pleased to present the special exhibition “Dutchtown and Major Andre: Highlights of Haverstraw History.” Curated by Corinne McGeorge, founder of the nonprofit Hudson Valley Exhibits, Inc., “Dutchtown and Major Andre: Highlights of Haverstraw History” showcases the riverfront neighborhood called Dutchtown, highlighting the Hudson Valley's Dutch origins in the 1600s and displaying works by renowned artists who live and work there today; recounts the infamous story of Benedict Arnold and John Andre treasonous Revolutionary War meeting at Red Stone Beach; and explores other key aspects of Haverstraw’s rich and vibrant history. The exhibition is open to the public on Wednesdays–Fridays and Sundays, 12-4 pm, until May 15. 11. West Point from the Highlands – article “A General’s Betrayal"